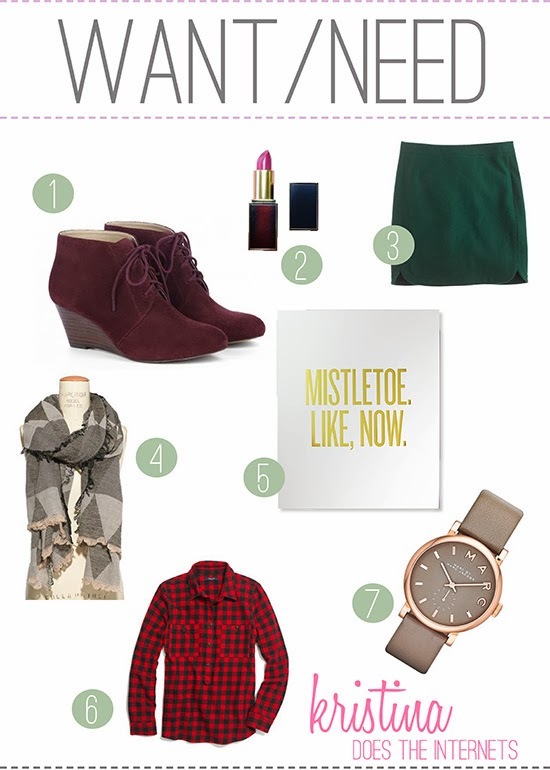 I want and need all of the items in this list especially the burgundy shoes, the green skirt and the lipstick! I was reading your about me, and I just learned that you are from Chicago! We are so close. Love your picks! Those booties are such a pretty color! Those colored booties are seriously awesome! I'm loving Sole Society lately!